Aliments is an online platform that lets restaurant-goers order their meals in advance and make payments through an app, allowing them to dine-in or take-away fast, all without hassle. The platform was created by five co-founders in 2017 and is slowly growing their presence in the Klang Valley, with Petaling Jaya and Damansara as the current focal points. Imagine walking into a nice restaurant, being escorted to your table, and immediately seeing that your meal is ready and waiting for you to dig in. After your meal, you leave without once removing your wallet from your pocket for the simple reason that you’ve already paid for your meal even before arriving at the restaurant. Imagine the amount of time saved, and the hassle of miscommunication between you and your waiter completely avoided. Well, there’s already an app for all of that. In the bustling commercial hub of Damansara is a technology startup aiming to revolutionise the F&B industry. Co-founded and run by a team of five made up of Jason Hor, Kelvin Kwek, Ashton Tam, Rex Ong, and Lee Teng. 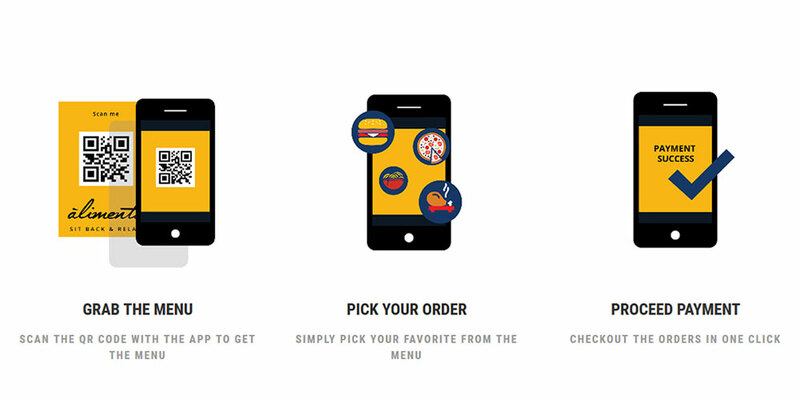 The company calls itself Aliments (French for food) and promises a future where F&B businesses and patrons can enjoy a seamless experience whether it be dine-in or takeaway. Essentially, Aliments is a B2B business that streamlines the ordering and payment processes for restaurants and cafes to the point where there is no need for a human to bring you a menu, jot down your order, or collect payment from your table. The only thing left for a waiter to do is to bring you your food and clear your table afterwards, or not even that if you’re just taking away. 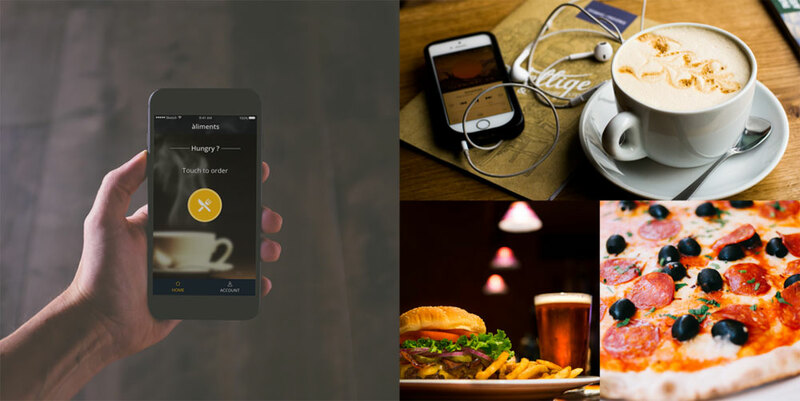 Their service works via an app built from the ground up that integrates with the POS systems of F&B outlets. It allows patrons to browse through a menu on the phone, place their orders, and make payments right on the spot, with e-wallet integration included to make things easier, especially for repeat customers. 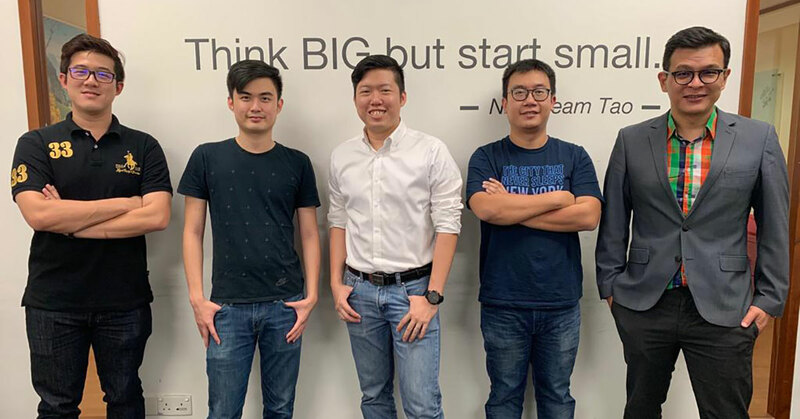 Founded in March 2017, the five-man team behind Aliments came together after seeing an opportunity to disrupt the local F&B industry and took just a month to create their MVP and bring it to market, eventually soft-launching their platform in November the same year. After encouraging signs, they’ve managed to garner over a thousand active users monthly and have expanded to nearly 30 outlets within the Petaling Jaya region—not exactly rapid growth but a rate that they’re comfortable working with for now. “We work very closely with our merchants—we chit-chat with them to make sure that our solution is actually solving a problem,” they said, revealing also that they have so far managed to grab a hold of a very specific, yet lucrative consumer segment. Today, 80 percent of Aliments’ sales comes from its ‘order ahead’ option, with the office lunch crowd making up most of the numbers due to the speediness afforded during shot lunch breaks. “After work hours, many of us don’t mind waiting a little longer for our food or drink, but during lunch hours, we don’t have that luxury,” they said. This, they explained, is the reason why they’ve managed to bring on board so many eateries and cafes around the urban Petaling Jaya and Damansara area, where coffee houses and lunch specials abound. But more importantly, they feel that this benefit will also eventually translate into something that can be appreciated throughout the day. But beyond all of this, there remains the question of long-term survival and sustainability. Here the team revealed that their game plan is to now ensure their platform goes beyond just acquiring merchants, but to also ensure they make the experience for businesses and users as valuable as possible. For example, integrating with Vcash to allow quick and easy repeat payments, and they’re introducing an extremely affordable promotional deal for merchants to get integrated with Aliments—for 2019, there’ll be no charge for F&B businesses that bring in more than RM1,000 in sales. Plus, they’ve also introduced Prime—a feature that lets customers pre-purchase menu items in bulk (similar to a stamp loyalty card) that rewards them with bonuses and freebies depending on each outlet. They explained that in addition to rewarding the customer, business owners would also be able to enjoy an advance injection of cash. Ultimately, the aim for them right now is to strengthen their user-base and the number of merchants available on the platform, but with the potential for their platform to add value to the dining experience, the Aliments team are confident of going the distance. To know more about Aliments, you can visit their website, Facebook page, or download the app on iOS or Android.